AUSTIN, Texas--(BUSINESS WIRE)--Infinitum Electric, developer of ultra high-efficiency, durable, lightweight and cost-effective electric motors, built with patented printed circuit board (PCB) stator technology and integrated control systems, has closed a $1.8 million Series A round of financing, led by Cottonwood Technology Fund (CTF). To date, Infinitum has received a total of $2.7 million in funding, and plans to leverage the new financing to launch an HVAC-specific, fully-integrated motor. Infinitum will also use the new funding to increase research and development efforts for applications in the Electric Vehicle and Oil and Gas markets. Infinitum Electric’s disruptive PCB stator technology and control systems, with five patents and eleven patents pending, provide unrivaled performance in the electric motor industry with a cost advantage over traditional motors. Infinitum works with global motor and generator manufacturers and other industrial OEMs to customize its technology for specific applications and market segments. Infinitum will initially focus on air moving applications in the HVAC industry, with partnerships with some of the industry’s biggest players currently underway. The company will showcase its HVAC technology at the AHR EXPO in Atlanta next week, at booth number C7934b. Expansion into Electric Vehicle and Oil and Gas segments are next in line for Infinitum. Infinitum’s electric motor efficiency exceeds IE5 efficiency, what the industry today considers to be the highest efficiency class. 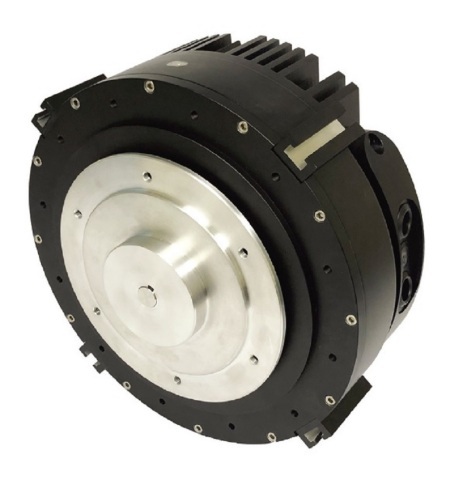 In addition, the customizable design of Infinitum motors and generators allows for greater optimization than any other electric motor, resulting in up to 25 percent lower costs, up to 60 percent less weight, superior durability and enhanced IoT connectivity. Infinitum Electric was born in 2016 by founders with decades of experience and a deep understanding of how electrification will impact the world. Infinitum Electric’s mission is to disrupt the way electric machines consume and create electricity. The company’s patented PCB stator technology forever changes the electric landscape, allowing for light weight, lower cost electric motors and generators with unparalleled efficiency and durability. CTF is a seed and early-stage technology commercialization fund with offices in Santa Fe, New Mexico; and Enschede, the Netherlands. It invests in founding stage technology-related (particularly telecom, chemistry/material sciences, photonics, biosciences, robotics and new energy) businesses originating throughout the Southwest region of the US and also in Northern Europe. Visit www.cottonwoodtechnologyfund.com for more information. Infinitum Electric has closed a $1.8 million Series A round of financing to introduce reinvented electric motor to market.